Murder by Gaslight: For a Wanton’s Smile. Frank Whittaker came to Chicago in September 1892, accompanied by four or five young women from his New York City brothel. He planned to run a similar business in Chicago and set up an establishment in a somewhat weather-beaten version of the gilded palaces in the city’s red light district near the levee. Around the first of November, Charles Ryan, a tall, silent man with piercing eyes and a small mustache, began to regularly visit Whittaker’s house. Ryan was a gambler, and from the size of his bankroll was a successful one. One of the girls who followed Whittaker from New York was a capricious and whimsical, black-haired, blue-eyed, beauty named Susie Hess. Ryan fell madly in love with her and within two weeks of his arrival in Chicago, he was begging Susie to leave her wanton life and come live with him. Susie was fickle, and led him on, promising to go with him one day and rescinding the promise the next. Ryan was in Whittaker’s brothel in the early hours of Sunday, November 14, 1892, and he asked Susie Hess again to come with him. They began to argue loudly, attracting the attention of Frank Whittaker. Whittaker, who had not previously met Ryan, tried to defuse the situation by suggesting that they all have a drink. Ryan said nothing; he pulled a revolver from his pocket, pressed the muzzle against Susie’s right side and fired. He then turned the gun on Whittaker and fired twice. Ryan looked at his victims for an instant, then walked into an adjoining room and shot himself in the head. By dawn all three were dead. "Chicago Shooting Affray." Kokomo Daily Gazette Tribune 14 Nov 1892. "For a Wanton's Smile." Le Mars Semi Weekly Sentinel 15 Nov 1892. "Gave No Warning." Daily Inter Ocean 14 Nov 1892. "His Fatal Infatuation." 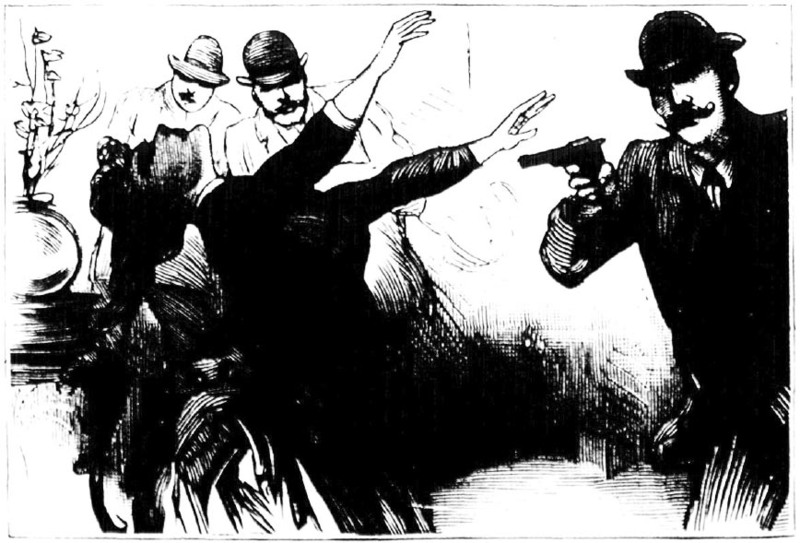 National Police Gazette 3 Dec 1892. Shocking Murder in Charlestown, Massachusetts.